The coal plant in Shamokin Dam, Pa., is a local landmark that delivered electricity to this region for more than six decades. It closed in 2014. Next to it, a brand new natural gas power plant is under construction. The coal industry is hurting. For decades, coal was the go-to fuel for generating electricity. Now that is changing. The connection between coal and generating electricity goes back to the late 19th century. A good place to get a sense of that history is the small town of Sunbury, Pa. — specifically at the corner of Fourth and Market streets at the Hotel Edison. "This is the place where, on July 4, 1883, Thomas Alva Edison lit the hotel with the first commercial three-wire electric system," says hotel co-owner Meghan Beck. The famous inventor chose Sunbury to demonstrate his lighting system because the existing gas lamps in town were expensive to operate. There was plenty of cheap coal nearby, and Edison used it to power his generators. This part of central Pennsylvania has long been coal country. "It was a huge part of our economy in this area," Beck says. "We actually have a power plant just across the river that was coal-fired up until a year ago." That plant and its huge smokestacks can be seen for miles. It's a local landmark that delivered electricity to this region for more than six decades. But now things are about to come full circle, and the lights in Beck's hotel may once again be powered by gas. 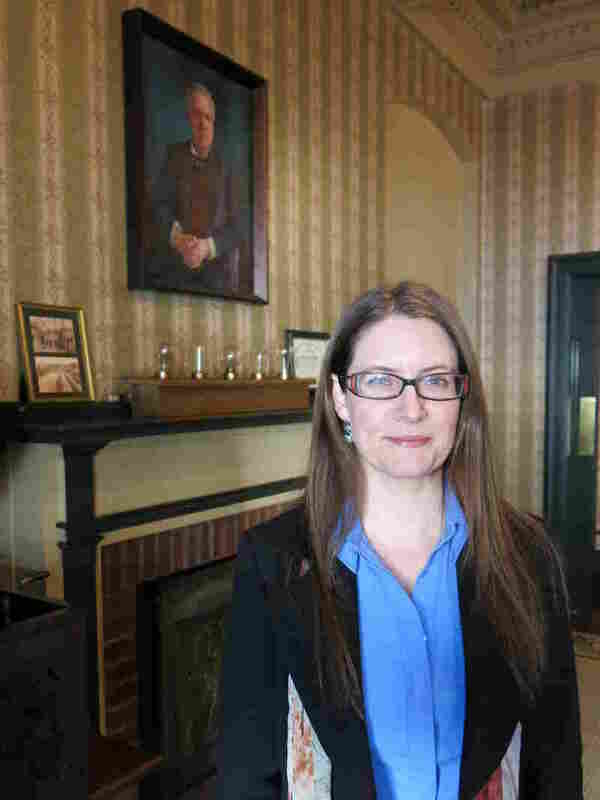 In 1883, the Hotel Edison in Sunbury, Pa., was lit up by Thomas Edison with the first commercial three-wire electric system, says the hotel's co-owner, Meghan Beck. Right next to the old coal plant, a brand new natural gas power plant is under construction and scheduled to be completed by the end of 2017. 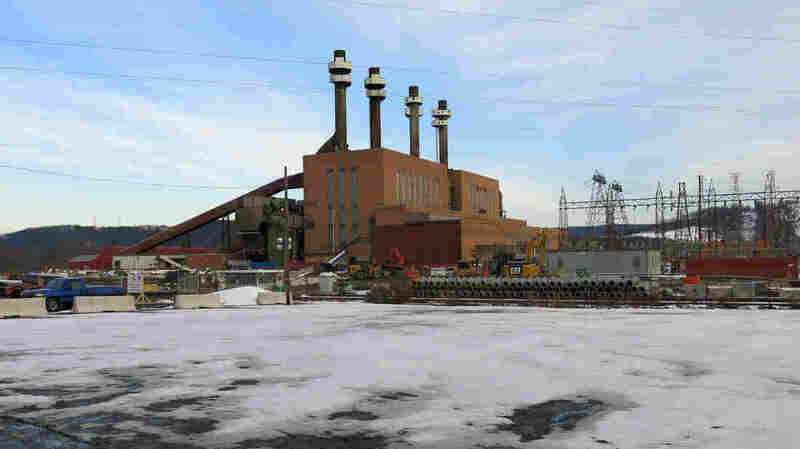 Companies building the plant say it will be more efficient than the old coal plant. U.S. coal production peaked in 2008, according to the Energy Information Administration. It's been trending down since. Last year, it fell 10 percent, and that's hurt companies and the communities where they operate. "Right now I think we're simply in a survival mode," says Luke Popovich, vice president for external communications at the National Mining Association. In part he blames environmental regulations over the decades. But the coal industry's problems go beyond that. Despite falling demand here in the U.S., the industry thought global demand would continue to rise. Popovich says coal companies borrowed a lot of money to prepare for that new business, but it never came. "Now they're faced with paying off those debts at the same time that prices for all fossil fuels — not just coal but natural gas and oil — have virtually collapsed," Popovich says. Coal's problems don't stop there. The renewable energy building boom also is stressing the industry. Once solar and wind projects are built, the power is cheap to produce. "Gas puts the immediate threat to coal, but the combination of gas and renewables places a longer-term threat to coal," says Andy Roberts, analyst in international thermal coal markets for the consulting firm Wood Mackenzie. He says last year was tough for coal companies, and the future likely will be even more painful. "Probably, over the long, long time, only the strongest of them are going to survive," Roberts says. One way to stay strong is to declare bankruptcy. That's the route Arch Coal is taking. It's the second-largest coal company in the U.S., and it filed in January. The company says it expects to shed more than $4.5 billion in debt. Executives hope that will position Arch to be one of the few companies that will survive the tough years ahead. A previous caption said the landmark coal plant was in Sunbury, Pa. It is in Shamokin Dam, Pa.